Defining What “Healthy” Means For Consumers and Product Developers	|	Food and Beverage Marketing, Advertising and Branding | Brightly creative. | A craft marketing, advertising and branding agency focused in the food and beverage industries. The word “healthy” is a time bomb, especially if you’re marketing a food or beverage product, or an ingredient that will go into a product. It’s not a word that can just be thrown around, as the Food & Drug Administration has set criteria for the use of a “healthy” labeling claim on packaged products. If you want to go down a rabbit hole, you can read the regulation in its entirety. But don’t invest too much time in it, because it’s changing. Why? Evolving nutritional research has rendered the old guidelines obsolete. Under the old guidelines, a product was deemed “healthy” by meeting requirements for amount of total fat, saturated fat, sodium and cholesterol in a product, while also including key beneficial nutrients, such as vitamins, minerals and fiber. Makes sense, right? Not really. A fat’s not a fat. And many high in fat products, including nuts, olives and avocados, were excluded from being called “healthy,” even though most registered dieticians considered them part of a healthy diet. So new guidance was issued, and the FDA is currently in the process of officially redefining what “healthy” means on food packaging. In the meantime, it’s up to consumers to set their own guidelines for healthy eating. For the and the “Eat This, Not That” Awards, they defined healthy with four parameters. In my opinion, these criteria are spot on. However, do most consumers know the difference between a good and bad fat? Do they understand what a “good for you carb” is and is not? Not only is this wrong, but it also has led us to the global obesity crisis we’re in today. To eliminate all confusion about “healthy” eating, I suggest consumers simply focus on eating more real food. Learn what a processed food and artificial ingredient is, and buy less of them. Start reading labels and only buy products where you recognize the ingredients in the product. I know that spray butter is zero calories, but it’s also filled with chemicals. Buy the real stuff instead. Food and beverage developers are amazing today. They’ve cracked the code of bringing healthy products to the market that taste great and use responsibly sourced ingredients. Buy them and eat them! I can personally recommend the five following products from the Today Show list. They are mainstays in my pantry! Epic Chicken Sriracha Bar – It’s a chicken bar. And, it’s delicious. 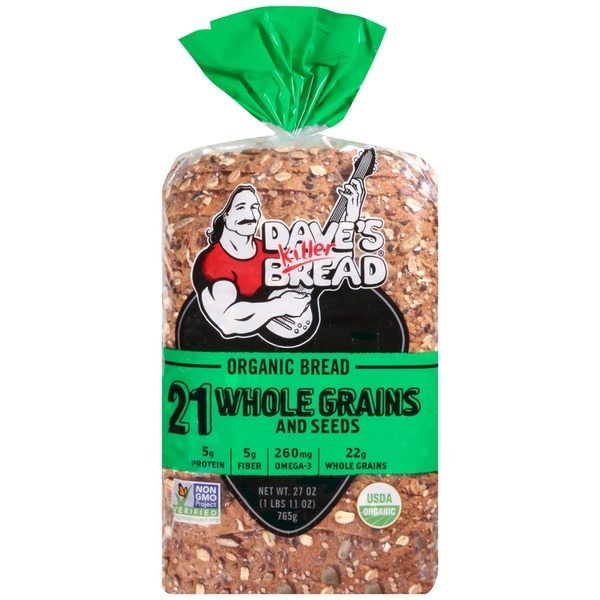 Dave’s Killer Bread 21 Whole Grains and Seeds – Whole wheat and seed nutrition in a thin slice perfect for sandwiches or toast. 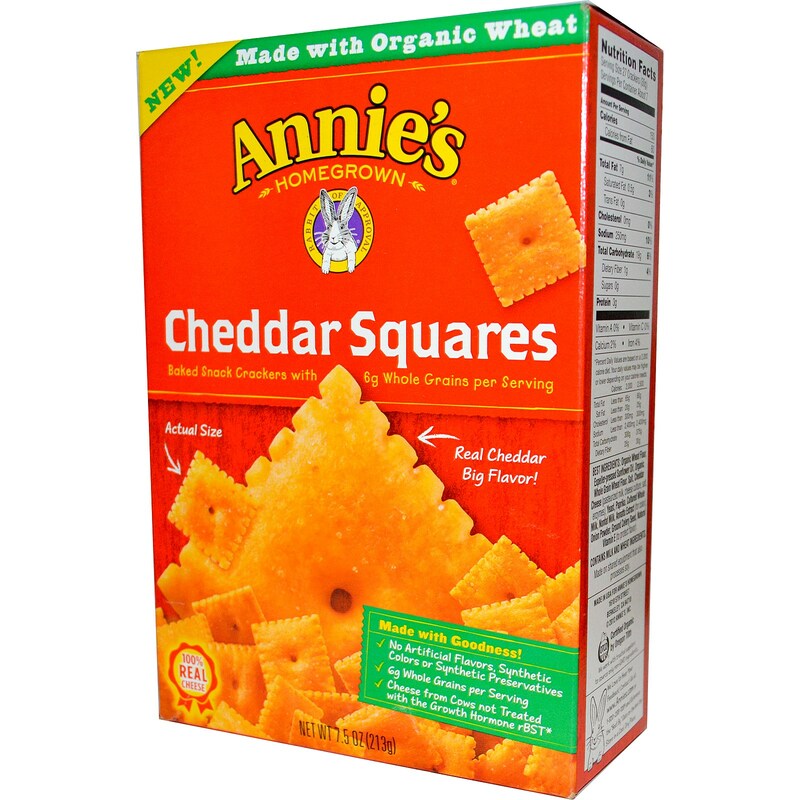 Annie’s Cheddar Squares – Don’t tell Cheez-It, but my kids can’t tell a difference. LARABAR Nut & Seed Crunchy Bar – The perfect all-around bar for a long run, Stella’s lunchbox or an on-the-go meal. Smucker’s Natural Peanut Butter – A jar a week for the Seiz family.